Can I remove transparency. make taskbar larger, its transparent. Hey Victor, Yes the taskbar is transparent, but I tested it on white wallpapers too make sure it wasnt too transparent(that always annoys me) and its currently set at the perfect percent! As for the taskbar size, its currently set to 40 pixels high which is the newest size for windows 10. You might be using small icons on your taskbar perhaps. to fix this right click on your task bar and select properties. Under the taskbar tab make sure "use small icons" is unchecked. 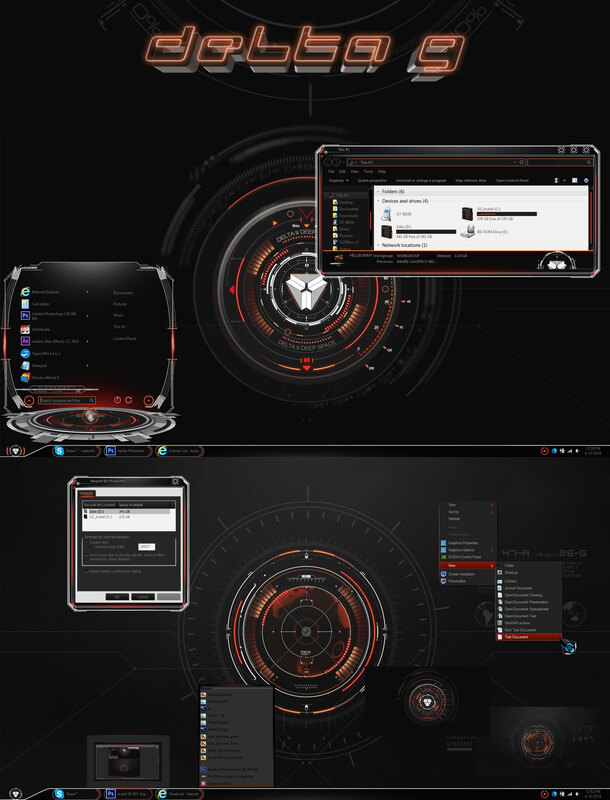 Very Awesome Sci Fi theme !!!!! ... but I am not fond of the white area tho .....perhaps a dark red instead of white ? Wow! Amazing! Nicely done, Vampothika. Nifty name. Reminds me of the Delta 9 nerve gas used by Goldfinger in the third 007 movie.